I like that!, That's life..., What's going on? It was a game that could well have been an inspirational movie straight out of glossy Hollywood. It had all the perfect ingredients that blockbuster sports-themed films are made of. Clawing their way back from two sets down, the Golden Tigresses of the University of Santo Tomas won two straight sets to bring the game down to a pivotal 5th set. The opponents — the equally gritty Lady Bulldogs of National University — played toe to toe throughout the deciding set. Unlike the previous two sets where they would play catch up from as much as 8 points down against the Tigresses, the Lady Bulldogs knew they had to keep the score close. But UST would not have any of it. Needing two more points to seal an impending victory at 13-11, open spiker EJ Laure jumped high for a thunderous hit — only to get blocked at the net. But to everyone’s horror, she landed nastily on the fallen ball. Her right foot bounced on the ball as she fell, before hitting the floor hard and folding like a plastic straw upon impact. The expression on her face was terrifying to watch. She grimaced in pain and held her sprained foot for about a couple of minutes. In the audience, the camera captured EJ’s mom crying as she cupped a hand in front of her mouth in horror. Sitting right next to her is her husband who had a grim look on his face as he watched his daughter writhe in pain on the court. A former athlete himself, he knew exactly what his daughter is going through at that very moment. EJ knew what was on the line. If they win this game, they would go straight into the final 4 for a chance at the championship. It had been four years since the UST women’s volleyball team last figured in the top four teams toward the finals. She and the rest of the UST community have waited long enough. So with the help of her teammates, she stood up and emphatically stomped her right foot a few times to shake off the pain. The crowd cheered as she made the motion to play on. 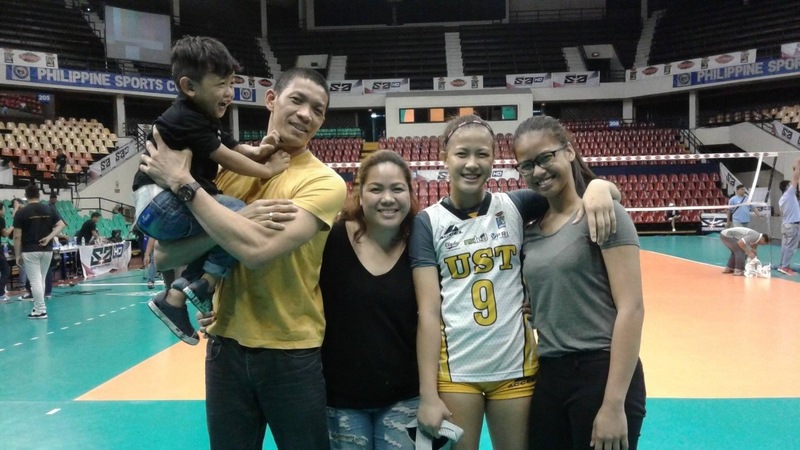 Coach Kung Fu Reyes, with his military background coming into play, knew exactly what to do for his hurting soldier. After team captain Sisi Rondina’s patented “cherry bomb” of a kill put UST at match point, Coach Reyes pulled her and veteran setter Alex Cabanos out for impact spiker Dimdim “Boom” Pacres and young Alina Bicar. He kept EJ on the floor, as if saluting her for her courage and assuring her that he still believes in her. Some people may have questioned this move by the charismatic coach, but he has managed to bring his team this far to merit his players’ trust. EJ was in front, ready to give it her all and whatever it takes to finish the game. Her teammates hugged her and assured her that they got her back. EJ kept her game face on. 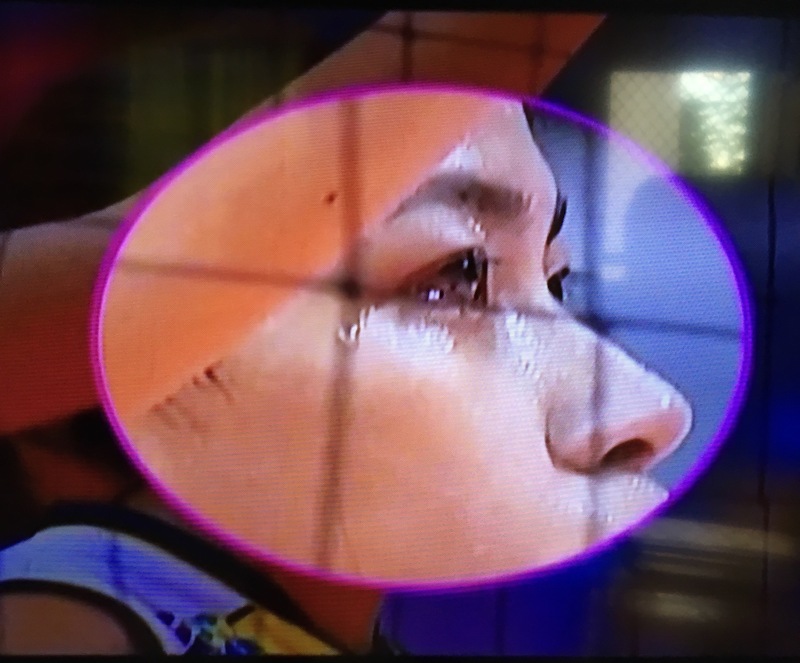 Tears rolled down her cheeks, meeting the sweat that streamed from her brows. That was a picture of tenacity if I ever saw one. She was clearly fighting through the pain. They have yet to win the game, yet I kept telling myself that EJ has already showed how true champions play the game regardless of the turnout. Those tears were not because of the pain — they were induced by her burning spirit. Coach Reyes’ move must have confused the opponents. 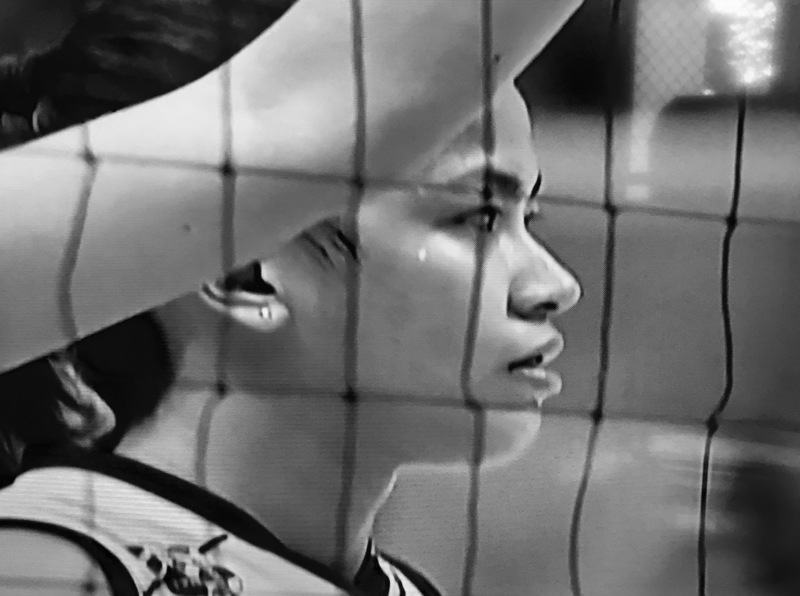 Without spitfire Rondina and EJ hurting, the Lady Bulldogs could only guess who the Tigresses would turn to for scoring. As it turned out, EJ became a decoy. The last two points were masterfully done: first by a Sisi Rondina “cherry bomb”. The final point came with Bicar setting up Pacres. The first try was successfully returned by the opponent. But both Bicar and Pacres would not be denied. Another well placed set and a cleverly placed spike by the duo won the game for the gritty Tigresses. Pacres and Bicar hardly played their usual minutes during the first four sets. Lesser players would have crumbled under pressure, but they found an additional cause to win through EJ’s fighting heart. 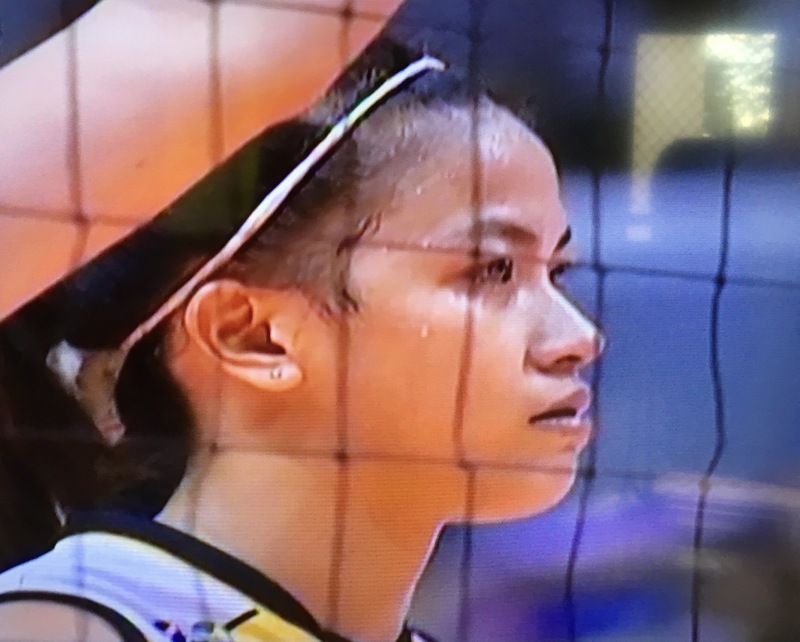 As the Tigresses hugged and cried and cheered at the center of the court, the Lady Bulldogs wept in shock after the hard fought battle for the final 4 position. But I have to give it to these girls. They, too, played like champions. They are worthy opponents that could only get better, with a maturing Risa Sato becoming an ominous threat against opposing schools come UAAP Season 80.